Welcome to the Custom House (Aidolls) Petite Ai and Ange Ai Discussion thread! Many many thanks in advance!! So, since there isn't already a general discussion thread for Petite Ais (the original tiny ), I thought it was about time we made one. Let's start it off with a little introductory spam. Maeve welcomes everybody to the new thread! Here's a pic of a Juriel I worked on. I have a Hanael coming in...maybe in a few months considering wait times but I want to show her next to my Hani. Seems like there is a similarity of names but I'm not sure if they correspond with each other. I feel really terrible about this! I could've SWORN there was a dedicated Petite Ai thread. Fred is rather disappointed in me. I'm SO SORRY, Fred!!! I can contribute to this one! 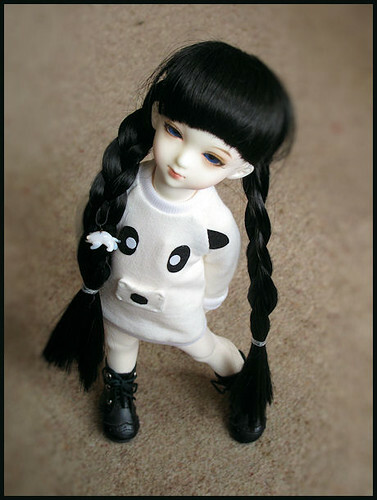 Petite ai's were my very first BJD...was it maybe 5 or 6 years ago?...I fell in love with a Sariel on e-bay and the rest is history. I still have a little group of petites...not as many as I once did as I started collecting other dolls and sold a off a few, but here's a picture of my Icarus, just to start us off. Oh ! They are so cute !!! Can anyone tell me that are Icarus and Yuriel and Irus the same mold? I have Petite ai Gabriel and then I ordered Little junior Eva and I found out in this webboard that they are the same mold. I have Petite ai Yuriel and just ordered Little junior Icarus and some of my friend suspects that they are the same mold too. Oh, how lovely, a dedicated Petite discussion thread! 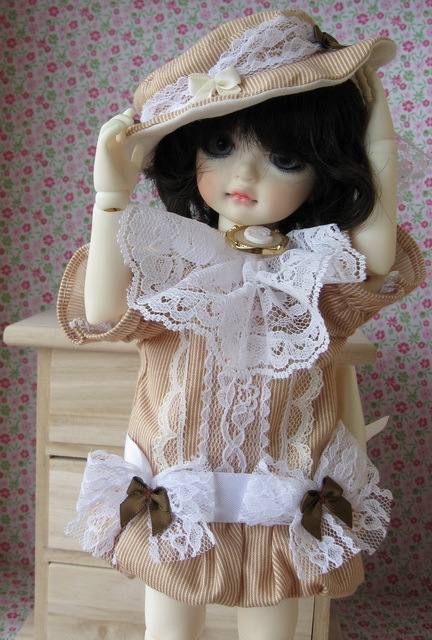 CH Petites are still my favourite dolls. I have 8 ! My first one was a Basic Gabriel, bought in March 2004. I still have her, though she has yellowed, been played with a lot. kameo I love Chloe's panda top and bag. I apologize for being absent from this thread since starting it, but Maeve and I wanted to wish all the American Petite Ais out there (as well as all other Petites around the world) a Happy Fourth of July! The old thread was closed without comment and I couldn't find a new one! Here's my darling Raffy holding Hautelier Sabi to start things off! Katie, my Raffy girl, with her new "friend"
OMG......the new ones they have out are cute!!!! Is anyone getting one? I think it is fab that you can get like 3 different Hani's and have triplets.....oh I need to win the lottery.